Healthcare Scientists are people who use scientific knowledge to develop and apply new technologies and treatments. They train in a wide range of health specialisms and the way they interact with patients can be very different for each specialism. 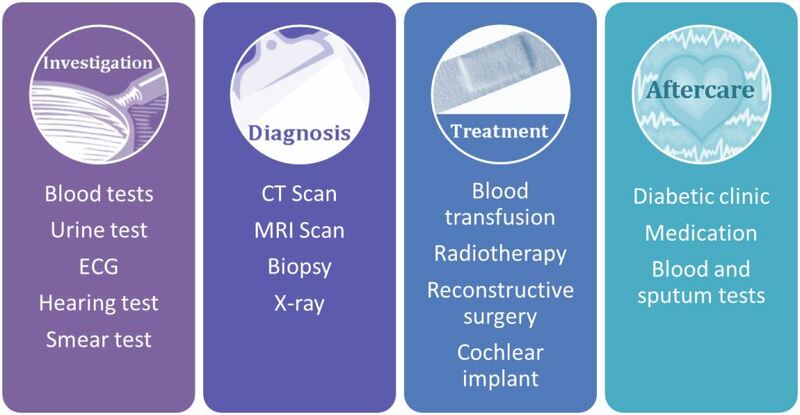 This diagram shows that healthcare scientists can be involved in every aspect of your care from the initial investigation and diagnoses of your health concerns through to your treatment and after care. What do our trainees do?